Alsace has probably one of the most varied geology in the world, and that applies also to many different limestone formations. Both age (second era/Oolithic) and soil formation (marl calcareous for this wine) will help to distinguish subtle differences in the vineyards abut also in the wines. 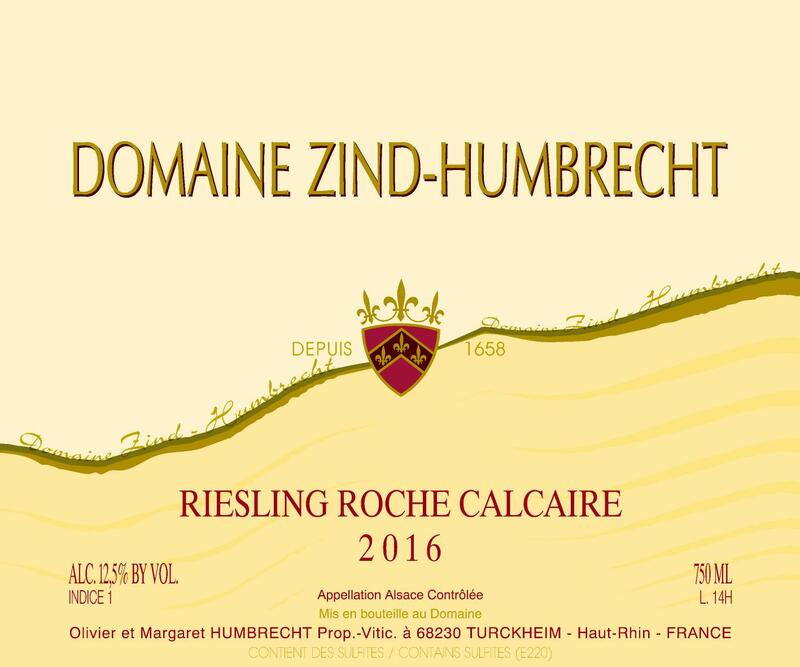 Mostly originating from the village of Gueberschwihr, these vineyards enjoy a normal/late ripening climate, enhanced by relatively deep soils, rich in clay, that tend to warm up slowly. One should never expect such vineyards to produce an easy early drinking style! The grapes were harvested late in 2016, at an ideal physiological ripeness, mostly because the increase in sugar was very slow. The fermentation took almost forever but the yeasts eventually did their work. 2/2018: pale bright yellow colour. The first nose feels tight, with a strong sense of limestone (citrus, rock dust, reductive). It is obvious that this wine doesn’t want to have a proper conversation today, so close to the bottling, despite the fact that we would love to challenge it! However, the palate comes as a real surprise: there is power and intensity, the wine invades the taster and monopolizes all the taste buds, yet finishes on an elegant balance. Forget the fruity style Riesling, this wine has a strong mineral power, shows an obvious rock element that makes the palate salivate. Please be patient with this wine, allow it to breathe and open up.